The Connecticut Coalition to End Homelessness is grateful to the many reporters who have thoughtfully covered our project since its beginning in 2015. The CT Mirror published an interactive map showing the towns of last residence for people who entered Connecticut shelters over the past three years. The be homeful project is proud to be among those featured in the 2018 Hartford Business Journal Giving Guide, which showcased different ways that businesses can become involved with our efforts to fight homelessness in our state. Good Morning Connecticut’s Laura Hutchinson shares how CCEH is taking part in the Hartford Courant Travel Show, whose Taste of Connecticut booth proceeds will benefit the be homeful project. 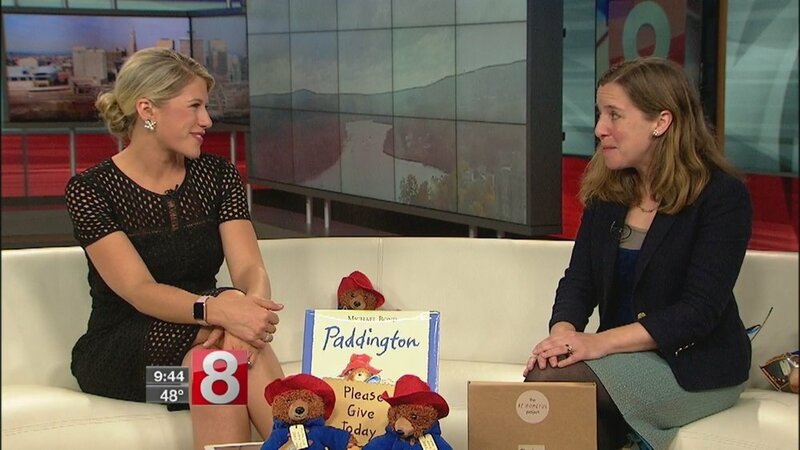 Good Morning Connecticut’s Laura Hutchinson covers new Paddington bear-raiser Giving Tree kits available to businesses and communities looking for a special way to make a difference this holiday season. October 22, 2018 - WTNH News 8. 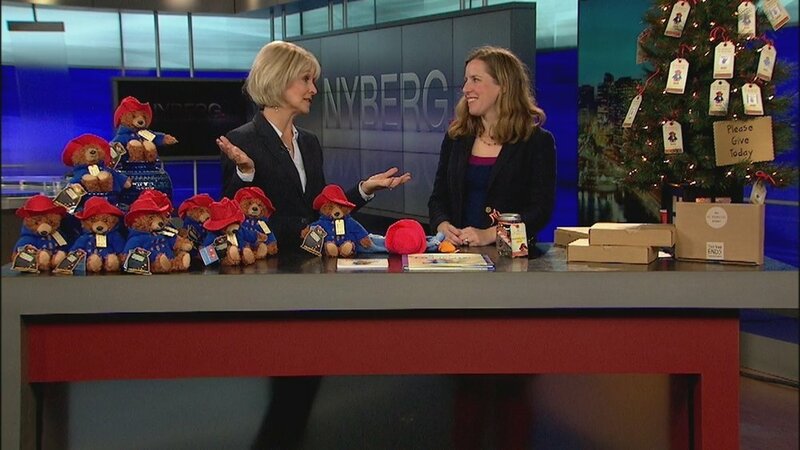 Ann Nyberg visited with us to learn about Paddington bear-raisers and how kids, families, and communities can help local families this holiday season. Lucy Nalpanchanchil visits with CCEH and Paddington Ambassador Grace Furia to learn about be homeful’s new family homelessness lesson plans and explore how kids can join the fight to end homelessness in their communities. Listen to the second half for our segment. CTR.tv’s Kristi Olds covers the CT REALTORS(R) Foundation board’s tour of Connecticut’s homeless response system for families and shares how businesses can help end homelessness for a family this holiday season. WTNH’s Ann Nyberg visits with CCEH to learn about how people can buy bears and books for children in shelter and help local families remain housed at the same time. WTNH’s Ann Nyberg shares word of our campaign, which gives the public a way to donate bears to children in shelters and prevent homelessness at the same time. WTNH’s Ryan Kristafer visited John C. Daniels School in New Haven to see how schools are using Paddington Storytimes to educate children about homelessness affects their peers. New Haven Register covers how the be homeful project is ending homelessness for families in Greater New Haven. Ending Family Homelessness in CT in Sight with "Be Homeful Campaign"
WTNH’s Scott McDonnell takes you inside a Connecticut shelter and shares why be homeful’s approach to diverting families from shelter is so effective. 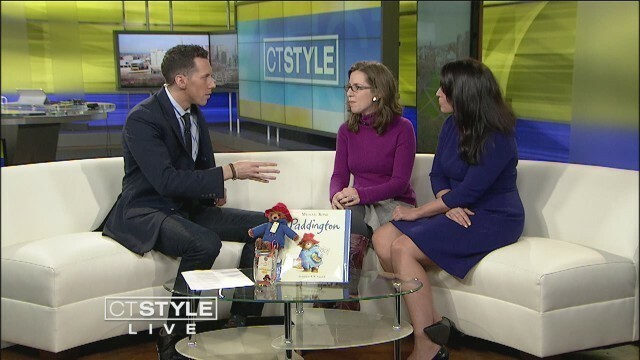 Ryan Kristafer of WTNH’s CT Style speaks with CCEH’s Madeline Ravich and Sarah Fox to learn about our new campaign to end family homelessness in Connecticut. Sarah Cody’s Connecticut Mommy Minute paid a visit to Charter Oak Magnet School in West Hartford to see how kids are engaging with ending family homelessness through our project. CT Mirror’s Trend CT analyze trends in family homelessness in Connecticut and publishes the first interactive map showing that the suburbs are not immune to homelessness. The Hollywood Reporter shares news of a flash sale of Paddington props which will benefit the be homeful project. Stamford Daily Voice shared news of the sneak preview of the major motion picture which served as a benefit to kick off the be homeful project.